Administrators can setup a project so that Targets can choose their own Raters in the tool. 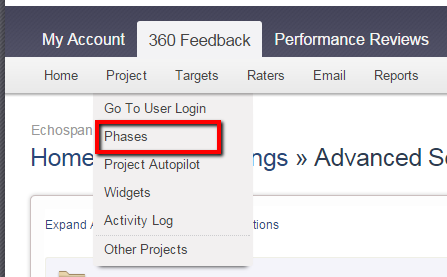 Please find a guide for which each phase from the drop-down menu, select Project >> Phases. Rater Selection Phase- Should be ON if you would like targets to select their own raters. Rater List Audit Phase- Should be ON if you would like auditors to approve rater lists.